This June, HEC Paris, one of Europe’s top business schools, will celebrate its first graduates of the MSc in Innovation and Entrepreneurship (MSIE). The fully online program, launched on Coursera in September 2017, equips current and aspiring entrepreneurs and business leaders with skills to develop business ideas, drive product innovation, or launch new ventures. 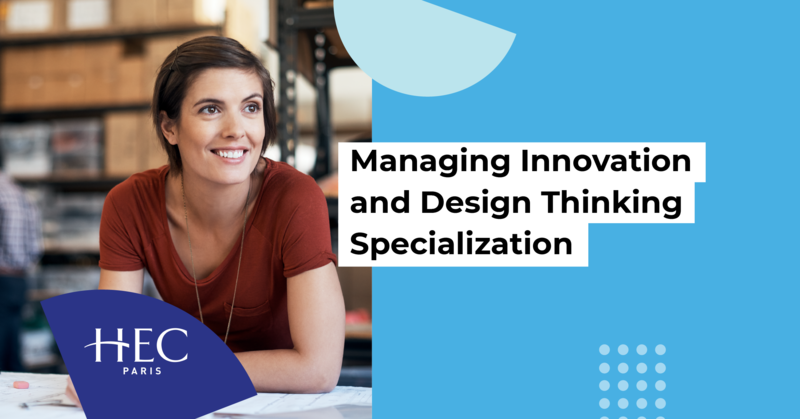 On the heels of this graduation milestone, we’re thrilled to introduce a unique stackable format for the MSIE with a new Specialization from HEC Paris: Innovation Management and Design Thinking. This is the first time HEC Paris has announced a stackable program format, which allows learners to start their degree learning with an open course or Specialization that can count toward the degree upon acceptance to the full program. This will bring access to top-quality business education from HEC Paris to even more learners around the world. Now more than ever, learners need flexible, affordable ways to obtain advanced credentials that improve their career prospects. We look forward to seeing how this new pathway to a degree helps even more learners transform their lives. The new Managing Innovation and Design Thinking Specialization is available today. To learn more about the MSc in Innovation & Entrepreneurship and other innovative degree programs on Coursera, visit coursera.org/degrees.